Hungarian rockers, The Trousers, put forth a lot of positive, highly energetic tunes on their latest album, Mother of Illusion. The album overall is a refreshing, modern take on classic genres such as classic rock, punk and new wave, and it features some fine production, sonic engineering and musicianship by the four members of the group. While the energy and enthusiasm are straight forward and contagious, the songs are crafted with a distinct style which never lulls and makes this album an entirely enjoyable listen from beginning to end. 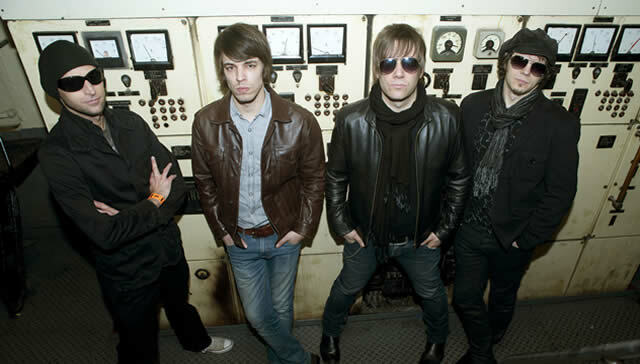 The group was formed in Budapest by composer and lead vocalist Zoltan Kőváry and honed their sound in the fashion of hard rock/garage rock from the 1960s and 1970s. Prior to Mother of Illusion, The Trousers released two EPs and three full length albums, Planetary Process (2008), Soul Machine (2010), and Freak Beat (2013). The group’s popularity has steadily grown throughout the years and they have toured through the European countries of Austria, Germany, Denmark, Belgium, the Czech Republic, and Romania. The forth album by the band, Mother of Illusion, got its name from a play on Frank Zappa’s Mothers of Invention and was self-produced by drummer Zoltán Szabó, who is also a talented sound engineer. The songs were mainly composed by Kőváry, who uses lyrical references to cultural and existential experiences. The recordings were recorded “bottom up” – drums first, then rhythm instruments, leads, and vocals. The songs on this album are strong enough to overcome some colloquialisms that might otherwise get lost in translation, as the words are all in English and the themes get through in spite of some linguistic difficulty. This is best demonstrated on “Hysterical Route”, with the first word of the title pronounced (Hi-sta-ree-kal} and featuring Stones like guitar lines as well as a nice wah-wah guitar lead. Whether the mispronunciation is intentional or not, the title’s concept is spot on and excellent! “Break Your Mind”, has some interesting riffing and a punk beat which lets Szabó really shine through the frenzy of it all. “Cool Operator” is another straight forward jam of unambiguous traditional rock with jangly riffs and a splashy drumline. The song also features backing vocals by Rita Csányi who did her vocals remotely from London. The well put together title song is like a multi-part mini-suite with some nice, philosophical lyrics. “Mother of Illusion” seems to continue the lyrical theme of illusions versus reality and how the illusions never last. “Chinaski, You’re Fired” is about knowing that what you have done is going to get you in trouble and contains call and response vocals and rocks hard until the calmer, smoother outro. The title was inspired by an alter ego created by author Charles Bukowski who is constantly fired because of his deviant behavior. “Sonic Desert” features a definitive seventies intro with excited hi-hat and wah wah treated guitar. Later, the song features a saxophone lead by guest Nándor Szénás¬-Máthé. Another guest musician is Zsolt Derecskei, who is also the leader of a famous Hungarian Beatles-cover band called The Bit. On “Soul to Waste”, Derecskei adds some subtle keyboards to a strong, punk-oriented, anti-conformity song, which serves to give it a Cheap Trick type of vibe. The album concludes with “A Different World”, written by Kőváry and his brother more than a decade ago. This pop-oriented song features a catchy hook, smooth vocals and more introspective lyrics. Conversely, the track also features strong, rumbling bass and thundering drums to complement the guitar textures and nice riff interludes, making for a very strong ending to this fine album.